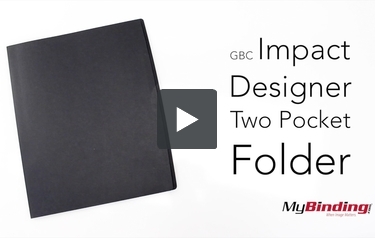 The GBC Designer Navy Two-Pocket Folder is an excellent way to professionally present your materials. With extra large pockets for holding more pages, including additional pockets for a business card, brochure or CD, this Designer Navy Two-Pocket Folder from GBC is just what you need to present your information with style and class. Made from premium ribbed paper constructed out of 40% recycled material, this navy-colored folder will ensure your presentation looks its best. Get 50 with each order! Also available in burgundy.